Berlin, 1961. 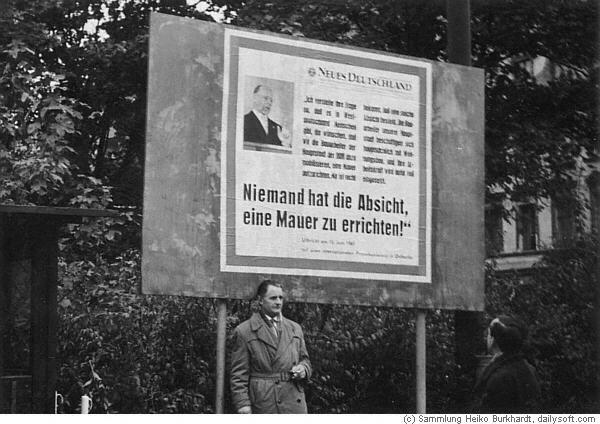 "Nobody intends to build a wall", said East German leader Walter Ulbricht before the Wall was built up. The sign is situated in West-Berlin near the wall and shows to East- Berlin.